San Angelo (March 20, 2019) – Two people were injured in a crash involving a San Angelo Independent School District school bus Wednesday morning. The collision occurred near the intersection of East 19th Street and Volney Street. 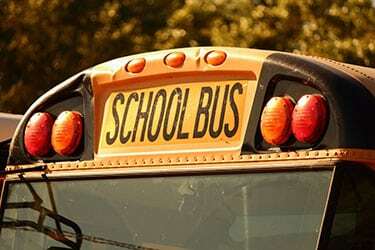 The school bus was traveling eastbound on 19th Street and stopped to turn left onto Volney Street. A Jeep Grand Cherokee was behind the school bus, but didn’t see it stop and slammed into the back of the bus. There were no children on the bus at the time of the accident. Both drivers were injured and were taken to Shannon Medical Center. Crash investigators will continue to review all factors concerning the accident. San Angelo authorities may issue a citation for failure to control speed to the driver of the Jeep. Police reports will be made available in ten days. It is likely this car accident happened due to distracted driving. In 2016, the National Highway Traffic Safety Administration (NHTSA) reported nearly 400,000 people were injured in distracted driving crashes.